A group backed by GOP mega-donor Charles Koch is launching an ad blitz pushing lawmakers to reject Sen. Elizabeth Warren Elizabeth Ann WarrenJulián Castro: Trump should be impeached for trying to obstruct justice 'in very concrete ways' Poll: Biden tops Sanders nationally Pete Buttigieg: 'God doesn't have a political party' MORE’s (D-Mass.) proposal to break up tech giants. Americans for Prosperity (AFP), a Koch-funded free market group, is running ads in Washington, D.C., and in the home states of lawmakers on the Senate Judiciary Committee against Warren’s proposal. 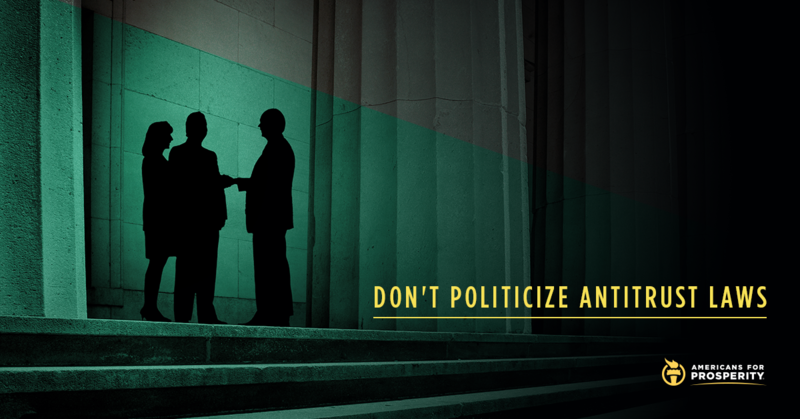 “Don’t politicize antitrust laws,” the ads will urge lawmakers. “If we use antitrust law to punish successful competitors, we eliminate incentives for innovation,” Billy Easley, a senior tech policy analyst at AFP, said in a statement Friday. The ads, according to a release on the group’s site, will also include a link to a site where the public can send messages to members of the Judiciary Committee expressing their disapproval of Warren’s plan. The ads were first reported by Politico. Earlier this month, Warren, a 2020 presidential contender, unveiled her proposal calling for companies like Facebook, Google and Amazon to be broken up to prevent the firms from competing on the platforms that they host. The plan would involve legislation that prohibits that conduct and appointing regulators who would go after Silicon Valley giants.